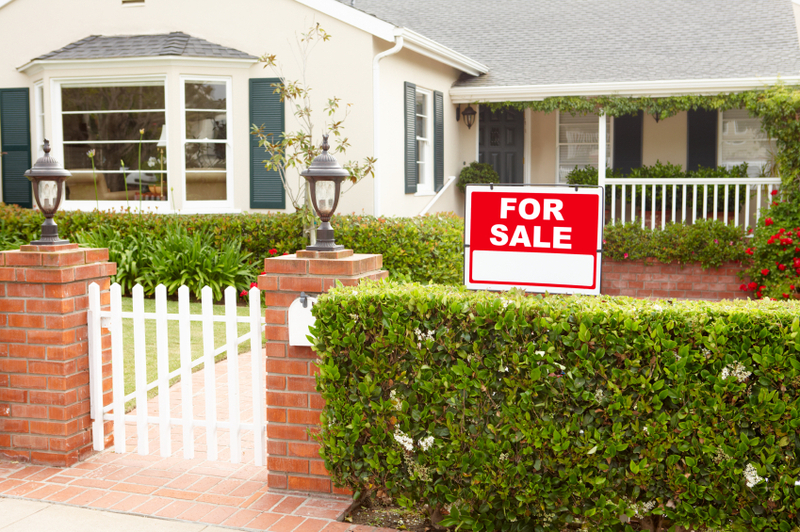 Selling a house in a changing real estate landscape can be a challenge. It is quite important to decorate your house in a way to make it appeal to more people who may come to see it. In a competitive market, your house should stand out as one that is in good repair and well taken care of. Selling your house means cleaning it well, from top to bottom. A dusty or dirty house will not sell as quickly as one that looks obviously well loved. Make sure your house is spotless from top to bottom, states Unclutterer.com. Your windows, bathtubs, sinks and cupboards should be immaculate. You may want to bring in a cleaning crew if you don’t have the time to do a thorough cleaning yourself. You may also wish to remove some pieces of furniture from your rooms, to make them appear more open. Buyers today typically love open spaces, and the less of your furniture they see, the more of theirs they can envision in the house. Remove personal items from shelves and tables and put away small appliances, so that your house looks clean and open. Open spaces and clean rooms can make a room look much bigger whilst also comfortable. Storage spaces and closets in your home should not be jammed full of things you don’t want potential buyers to see. Buyers want to see how much storage space the house has, too. Rent a storage unit if you need to, while you are showing your house. Buyers will want easy access to all parts of your house. Get rid of the clutter in cabinets, pantries and drawers. Many buyers like to look everywhere in a house, and this means drawers, too. If you are looking for ways to declutter why not have a read of this thread and the feedback from locals? When you show your house, treat it like an investment that you want to sell for as much as you can. Real Estate agents will give you ideas, and you shouldn’t take offence if they want you to change certain parts of your house, to make it show better. If you have bright paint on the walls, it is often wise to repaint in neutral tones, so that potential buyers can picture their own belongings there. Remember, this is to show the house in its best light, not a personal attack on your taste. Remove items that are strictly personal from your home, to make it a blank slate for buyers. Take family photographs, diplomas and awards off the walls, so that people who see your house can picture their own photographs there. Keeping small family reminders in the house can be a good idea however, so keeping photo frames and other easily placed items can be work well so people understand that a family has and can live there. Remembering that it is just a house made of bricks and mortar will help you get the best value for your house be detaching emotional experiences from the sale process. Inspections will reveal problems in plumbing, walls, foundation, etc. that you may not know about. In this way, you can have them addressed before they would be a deterrent to buyers. If you haven’t painted the exterior of your house for a while, new paint will give the house a brighter appearance. This enhances its curb appeal. A new paint of coat can add much more than just a new look, it can reinvent a house. Pressure wash stains from the sidewalk and driveway. Wash the windows inside and out. Keep your yard looking tidy and trimmed. Re-sod any areas that are not as green as the rest of the yard. Have a tree professional prune any branches that obstruct the view of your house from the street. In this way, buyers will have the best view of what could be their new house.